Stitchery! 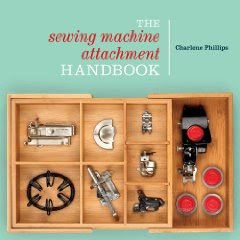 Sewing Machine Attachments, Needle, and Thread: Machine Bed Attachments, Vintage Applique Feet and MORE! 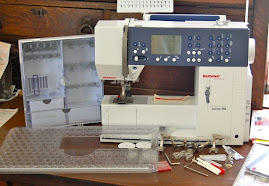 Machine Bed Attachments, Vintage Applique Feet and MORE! Always love to find some interesting items, those outside the normal attachments. Love a challenge and if I don't know what they are will begin searching. I don't always find out the exact machine they fit but the treasure hunt is enjoyable! 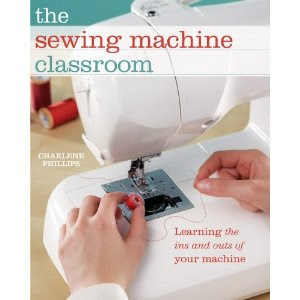 All of the items can be found at The Sew Box (in our SALE section). Love to hear any further information you have on the items! Always more to learn. Found some interesting hemmers and a binder. They appear to attach on the machine bed and not on the presser bar. I am not entirely sure which machines they fit on, but surely they are not seen very often. Also found a pair of feet that were made under a 1946 patent. The patent no is 2394873. 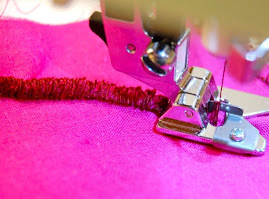 The patent refers to "applique", however in reading it I feel they are certainly meaning sewing on binding. 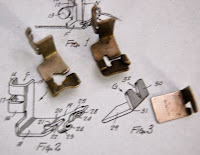 The patent photo (included when I sell them) shows the braiding being threaded through the slots of the foot. 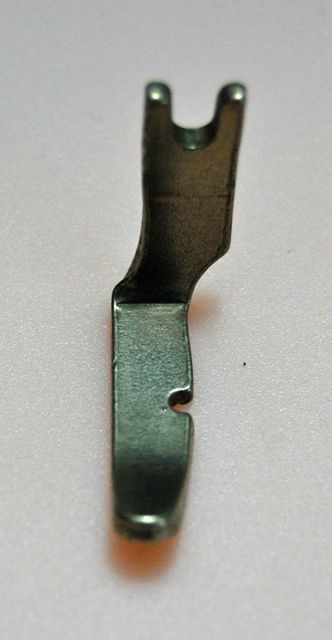 There is also a tiny "slider" which goes into the end of both the feet. This slides up to the braiding to keep it securely taunt. Very interesting! I did try them both on my vintage low shank machines, and also on a new Singer. Worked as it said. 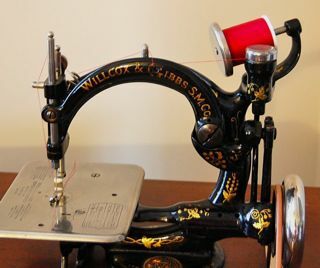 What a nice part of sewing machine history. Evidently didn't make a lot. 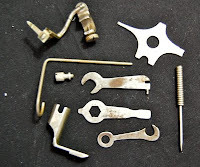 Also found a nice assortment of wrenches, and screw drivers. One goes to a vintage Singer puzzle box with the spiral end. Also tossed in this photo is a high shank gathering/shirring foot. Also interesting is a machine threader of sorts. It is attached to the presser bar, appears to be screwed to tighten. Then it swings down to thread the needle. Can still see a tiny threader. 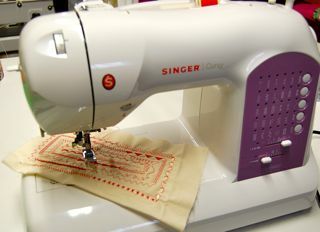 Last of my finds is a Singer 66-1 cording/zipper foot. 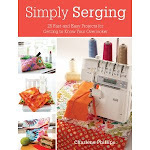 Check out more of our regular sewing items, and all the finds on sale at The Sew Box. Hi, I know it has been so long...but I only came across this page today. Do you still have the back clamping cording foot? Do you still have a store selling stuff?